WHY should I feed Raw Food? It’s what our pet carnivores evolved to eat. No man-made diet can hope to compare to fresh natural whole food. The benefits of a whole natural diet include improvements in multiple areas. Most people report significant improvements in all areas after switching to a whole natural diet. One of the simplest but most profound improvements is in dental health. Chewing whole raw meaty bones scrubs teeth better than brushing and flossing. 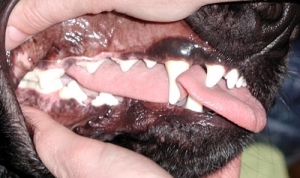 The periodontal disease suffered by most commercially-fed animals leads to heart, kidney, and liver disease, in addition to the painful gingivitis and tooth root abscesses typical of the kibble-fed pet. 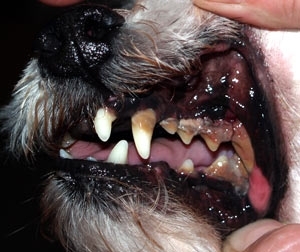 Studies have shown that over 80% of pets have periodontal disease by the age of 2. Foul breath is one of the outward symptoms of this deadly disease from which millions of commercially-fed pets suffer and die. 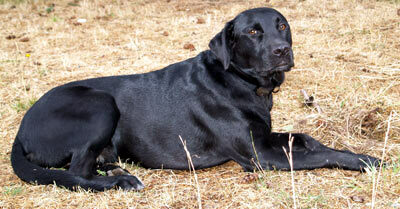 People who switch to raw feeding are often amazed at the difference in their pets’ coats. The require less frequent bathing, smell better, and have softer thicker fur. Dogs and cats that had terrible skin issues before raw feeding often regrow their hair and heal from the chronic hot spots and infections. Iss Cais Me, pictured above is two years old and has never had a bath, yet her coat is silky and gleaming. She has been fed raw since she was found abandoned on a highway at 12 weeks of age. Colby is the same age as Koko, the dog shown in the image on the left. Colby, like Koko has never had a professional teeth cleaning. The difference is that Colby has been fed a prey-model raw diet since the age of 10 months.